Be ready for a backyard BBQ any summer night this season. After what felt like the longest winter of time, we are on a mission to enjoy our yard this summer more than ever. Post sponsored by Mirum. Opinions are 100% my own. Hosting a backyard BBQ doesn’t have to be stressful. If you’re any bit of an over-thinker like I am, any gathering might bring on the nerves. Just get yourself organized, have a routine, and soon enough you’ll be throwing BBQ’s like a pro. Here are some things to keep in mind during BBQ season. Ingredients: Stock up on frequently used ingredients like Hellmann’s®. 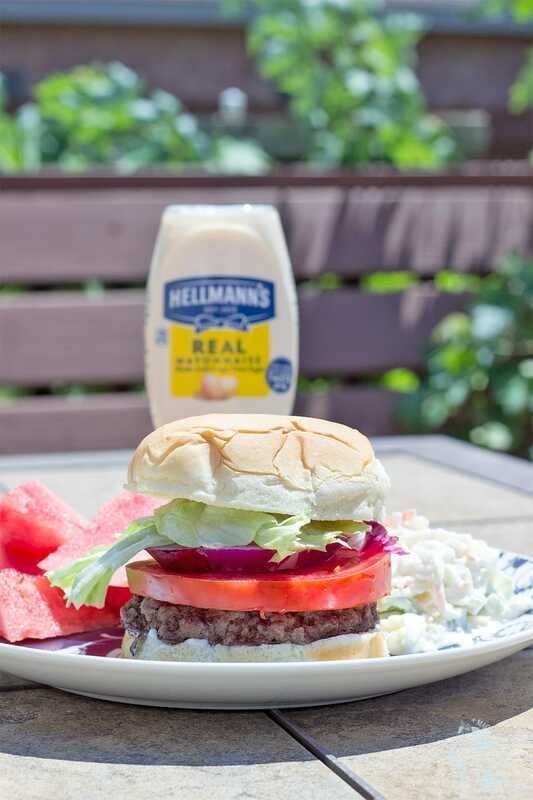 We all know Hellman’s is the not-so-secret ingredient in a ton of BBQ favorites. 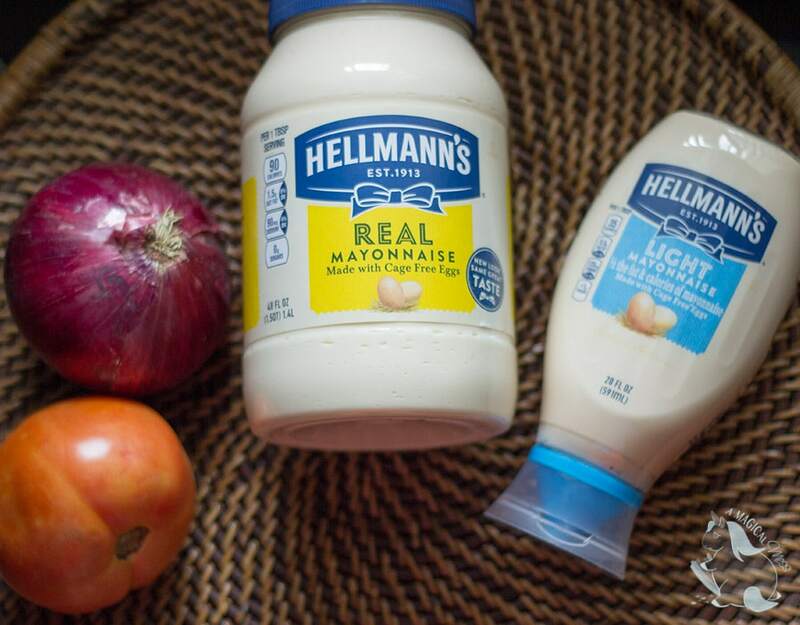 Be sure to grab a Hellmann’s Mayonnaise 30 oz jar for recipes and the 20 oz squeeze bottle to use as a condiment. Take a look at the recipes you make the most for a backyard BBQ and keep as many ingredients as you can in stock. Recipes: Speaking of recipes, find your favorites and stick to them. I tend to think that I always need to try new recipes, when in fact, the family looks forward to the favorites. No need to mess with perfection. 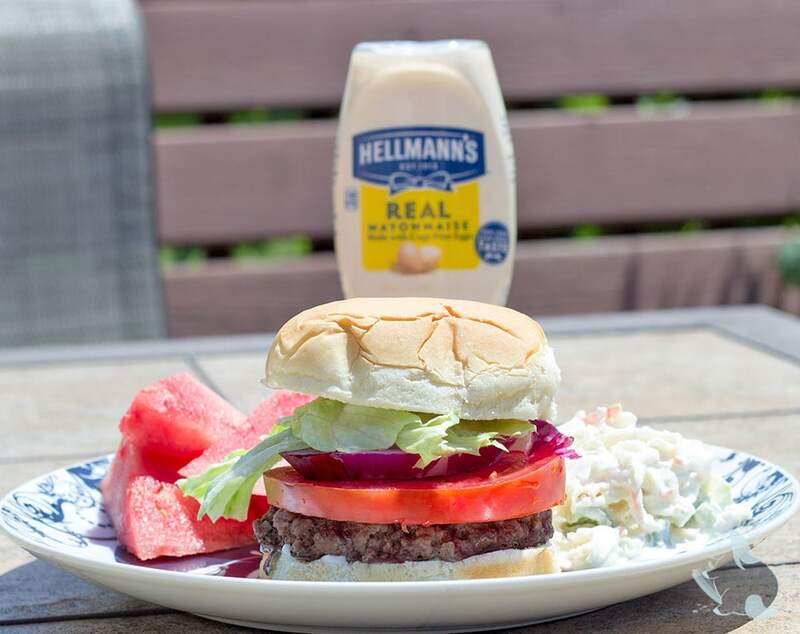 Once you find the best burger recipe (hint* it’s Hellman’s recipe) and a few sides, you’ll be armed with scrumptious foods to serve at your BBQ. 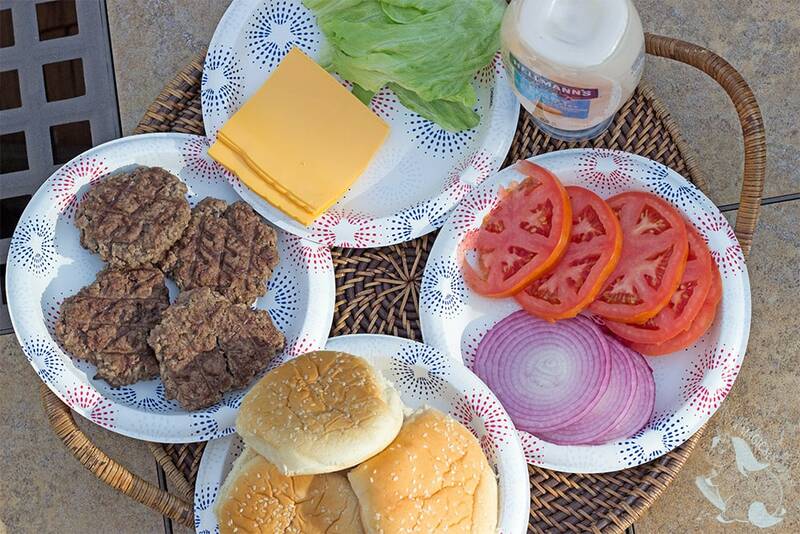 Shopping: Walmart has everything you need to throw the best backyard BBQ. From all of the food you need to backyard games, Walmart is the one-stop-shop for family fun. Use Walmart Online Grocery Pickup to shave even more stress off of party planning. Tunes: Can’t agree on music? Try Real Backyard Fun Hosted by Hellman’s Pandora Station as a party playlist for your BBQ. Comfort: Be sure to have shady spots or a cooling station for guests. It’s blisteringly hot out there lately, and you don’t want anyone to overheat. We tried two recipes from the Hellman’s website. I am happy to report that both recipes were delicious. 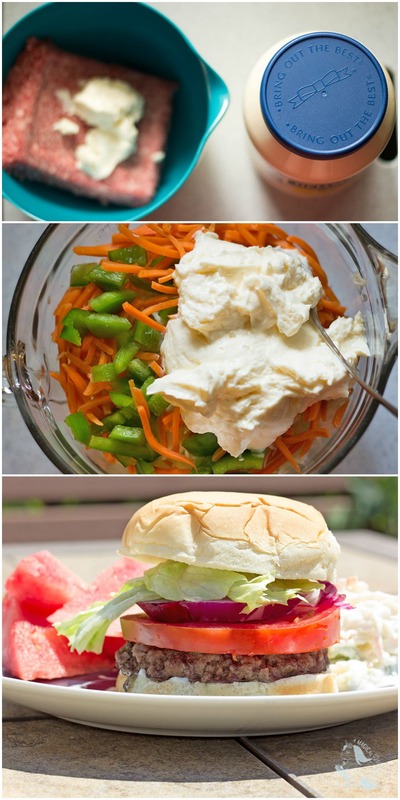 I plan to add the burger and the coleslaw to my must-make for a backyard BBQ list. Each recipe is easy, quick to make, and full of flavor. I bought the large Hellmann’s jar from Walmart, so I’m able to make quite a few recipes with that. I also purchased the squeeze bottle so guests can easily add mayo to their food without the mess. 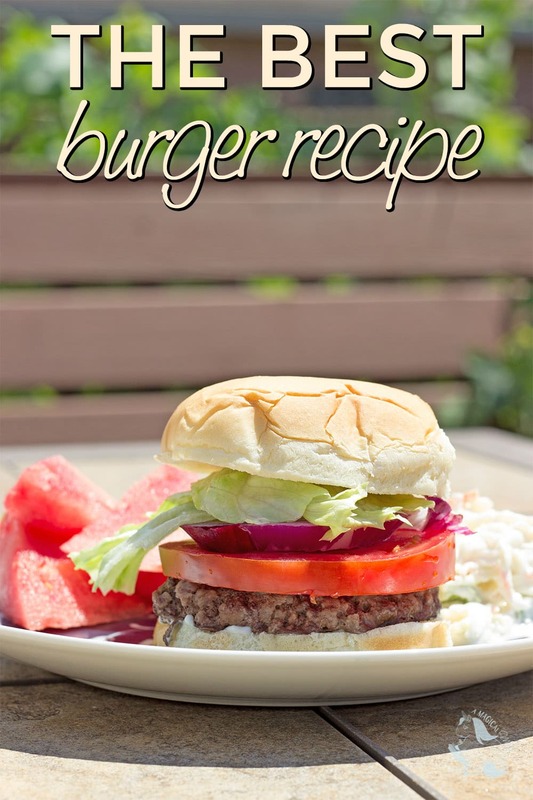 Make your own burger patties with two simple ingredients. Simply mix together 1 pound of ground beef with 1/4 cup Hellmann’s Mayonnaise. Mix well and form into four patties. Grill or broil until done. 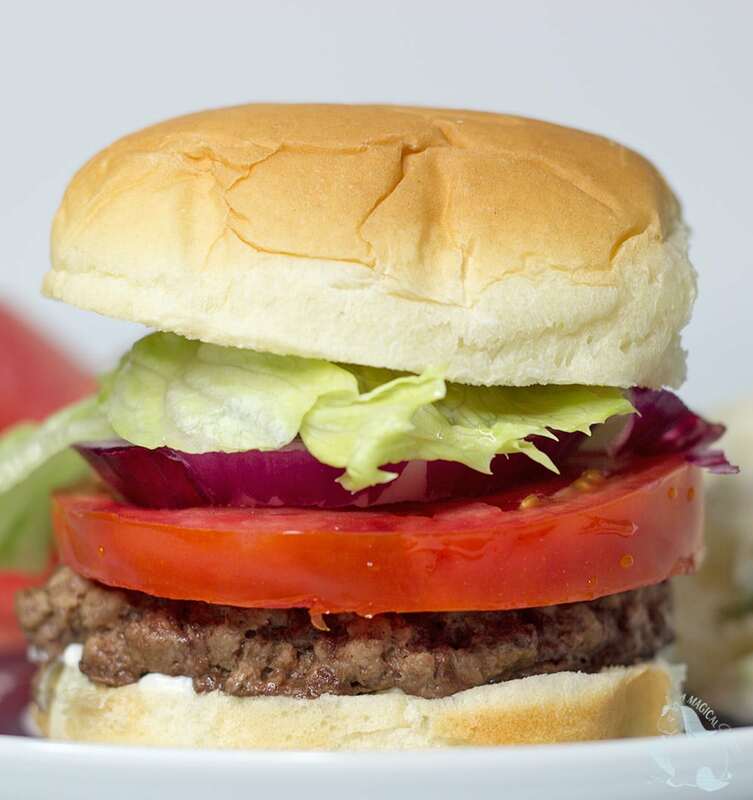 Squeeze Hellmann’s Mayo onto the bun and top with lettuce, tomato, onion, or your favorite toppings. Get the recipe for classic coleslaw that we made for the side dish. I didn’t think I’d like the green peppers, but this is the best coleslaw I have tried hands down. Find more recipes on the Hellmann’s website. They even have dessert like the chocolate mayo cake!